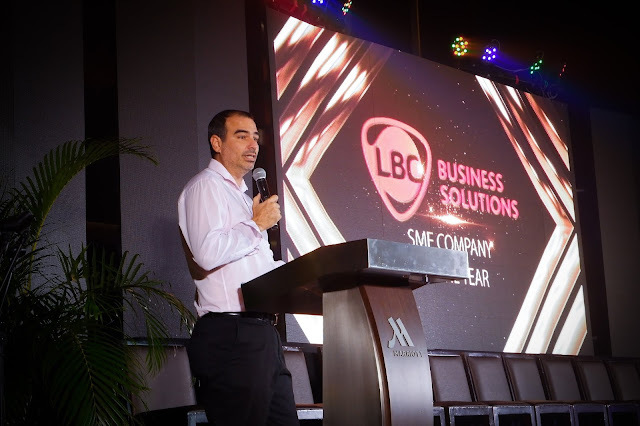 And to bring to the fore the significance of SMEs, LBC’s Business Solutions has come to sponsor the SME Company of the Year Award of the 2018 Asia CEO Awards organized by the ASIA CEO Forum, known as the largest and only national business event series in the Philippines. The SME Company of the Year is given to a small or medium-sized enterprise that is not a subsidiary, wholly independent and employs between 10 to 500 employees. This year’s Circle of Excellence roster for the SME Company of the Year are Aficionado, Everise/C3, FlySpaces, Italpinas Development Corp., My Town Dormitories, RCD Land Inc., Seven A.D., Sprout Solutions and True Money. LBC is the Philippines’ market leader in retail and corporate courier &amp; cargo, money remittance, and logistics services. With a growing network of over 6,400 branches, hubs &amp; warehouses, partners, and agents in over 30 countries, LBC is committed to moving lives, businesses, and communities and delivering smiles around the world. Listed in the Philippine Stock Exchange through LBC Express Holdings, Inc., LBC aims to deliver value to all of its stakeholders, as it has for over 60 years. Founded in 1945 as a brokerage and air cargo agent, LBC pioneered time-sensitive cargo delivery and 24-hour door-to-door delivery in the Philippines. Today, it is the most trusted logistics brand of the Global Filipino. LBC can move it for you: visit www.LBCexpress.com, or call telephone +632 8585 999 (Metro Manila), 1 800 10 8585 999 (Provincial), +632 9086 522 (Solutions) and follow LBCExpress (Facebook and Twitter).